Oct. 8, 1995: Dave Shula, head coach of the Cincinnati Bengals, looks on from the sideline during the Bengals&#39; 19-16 loss to the Tampa Bay Buccaneers at Tampa Stadium in Tampa, Florida. Jack Brennan was the Cincinnati Bengals’ public relations director from 1994-2016, following nine seasons as a Bengals beat writer for the Cincinnati Post (1984-89) and Cincinnati Enquirer (1991-93). This column represents his opinion. CINCINNATI -- The concept has been bandied in Bengals Nation, but it’s off the mark. 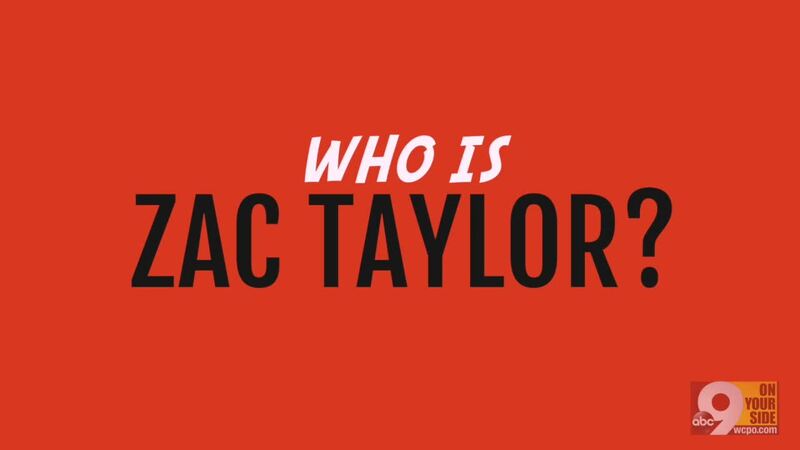 The hiring of Zac Taylor as Cincinnati’s head coach is not Dave Shula 2.0. RELATED: Can Taylor light a fire under Bengals' offense? The end result may be no better – a young Bengals boss proving to be in over his head -- but that’s for the coming year or two to decide. Today, Taylor stands much taller in the NFL than Shula did when handed the Bengals reins in 1992. Taylor surely still has a lot to prove – try “everything” -- but the 2018 L.A. Rams quarterbacks coach has credentials superior to Shula. They invite comparisons that should hearten a fan base that is nine months from its next gameday buzz, three years running with no playoffs and a staggering, NFL-longest 28 straight years without a playoff win. Let’s start with this: Taylor quite literally stands taller than Shula. He’s 6-2, and a former Nebraska quarterback. Shula was (and is) regular-guy size at 5-11. Sure, you can say height’s irrelevant, and you’d be right almost all the time, but in this case I see Taylor’s stature as a “presence” factor tied to his creds as a player. In 2006 for Nebraska, Taylor was named Big 12 Offensive Player of the Year. It’s an award shared by many huge names, including just recently Kyler Murray and Baker Mayfield. Appealingly for a future coaching hire, Taylor got there the hard way. He was passed over by his hometown Oklahoma Sooners despite a record-setting high school career, and after some unfruitful time at Wake Forest, he went to junior college before battling his way to the Cornhuskers. Shula played at Dartmouth, a full tier down from Nebraska. He was twice All-Ivy League as a receiver and kick returner, and, yes, he played in the NFL. Taylor did not. But Shula lasted only one year as a pro, in a minor kick return role for a 2-14 Colts outfit. I’ll take Zac’s player resume over Dave’s, and I think most Bengals players would, too. Next, let’s deal with the “young” part. Taylor will be 36 for this season’s opener, three years older than Shula was in ’92. Taylor stands age-wise as not a terribly young coach for his era. His phenom head coach in L.A., Sean McVay, just turned 33. Five other head coaches (counting Miami’s expected hire of Brian Flores) are 41 or under. NFL game-planning and strategy seem suddenly ripe for the skills of bright young guys without tons of coordinator or head coach experience. They dig the newly crucial technology. Shula was much more an outlier by age. When he took over, only one other NFL head coach was fewer than seven years his senior. In 1996, when Shula began his fifth and final season as Bengals boss, he was still (and always had been) the youngest coach in the NFL. He was let go six games into ’96, with a .268 winning percentage (19-52). On we go now to the “it” factor. Taylor has some, and Shula in ’92 had virtually none. Taylor was rated at least a tier-two “hot commodity” on the head coach market even before his just-completed Super Bowl run with the Rams. He was sought for interviews by the Broncos and Cardinals as well as by the Bengals. Taylor has been part of a cutting-edge offensive system that this past season finished second in the NFL in scoring, total yards and yards per play. He has, as they like to say in NFL press material, “been instrumental in the development” of super-hot QB Jared Goff. Taylor also was the QBs coach overseeing Ryan Tannehill’s successful entry into the NFL with the Miami Dolphins. And though media have made fun of teams suddenly worshipping coaches with any slight connection to Sean McVay, it’s reasonable to hope that something significant from McVay has rubbed off on Taylor in such a close-working role as QBs coach. Shula in 1992 was coming off a year as wide receivers coach for a Bengals team that had finished 3-13 while averaging just 197 passing yards per game. Shula had more years’ experience as an NFL coach than Taylor has, but seven of his nine were under his legendary father, Don, at Miami, and when Dave left the Dolphins to become offensive coordinator in Dallas, he lasted only a year in that position before being reassigned to just QBs coach. Taylor comes from a football family, too, one with roots not as regal as the Shulas, but solid and broad-based. Taylor’s father-in-law and first-job provider at the college level was Mike Sherman, a successful head coach at Texas A&M and with the Green Bay Packers. Taylor’s father, Sherwood, played defensive back at Oklahoma and was a team captain before coaching at two Big 12 schools. Taylor’s younger brother, Press, is QBs coach for the Philadelphia Eagles (Carson Wentz, Nick Foles) and took home a Super Bowl ring for the 2017 season. Taylor clearly is being afforded more leeway to hire his own choices as assistants than Shula was as a young coach 27 years ago. He’ll have his own guys as offensive and defensive coordinators, and it was a key sign of the club’s deference to his plans when the team parted ways with offensive line coach Frank Pollack. Though Pollack received excellent reviews for his work with a personnel-challenged line this past season, he’s not Taylor’s “guy” and will be replaced by someone who is. Personally, I’d have loved to see the Bengals job go to Darrin Simmons, the special teams coordinator under Marvin Lewis, who apparently will stay on under Taylor. Simmons has stayed largely under-the-radar with fans over 16 seasons here. That’s his outward nature. But I worked with him for all 16 seasons, as Bengals public relations director. He has modestly shown himself to be a man of great character and a tireless worker. He can get very emotional and forceful about winning. And I bet he would simply not put up with some of the player nonsense that has gotten in the way of Bengals success in recent years. But the dominoes didn’t fall for Simmons this time. The Bengals had to make an outside hire, for ticket-sales reasons as well as whatever football reasons they discerned. Our NFL squad is rather a punching bag right now in comparison to shiny new FC Cincinnati and the suddenly sharp-dealing Reds. And if you count Major League Soccer as the nation’s fifth major team sport, Porkopolis is the smallest TV market in the country trying to support three franchises. So maybe Taylor’s hire can forestall some season-ticket cancellations and spark some new sales. It should. This is a credible hire for the Bengals, if not a blockbuster. We shouldn’t denigrate it on Day One as Shula 2.0.